Did India invent “Damascus” steel? An October 10, 2012 television program on Nova dealt with Viking swords and their origins. Some of the metallurgical techniques can be traced back to ancient India. India possessed an advanced knowledge of metallurgy. 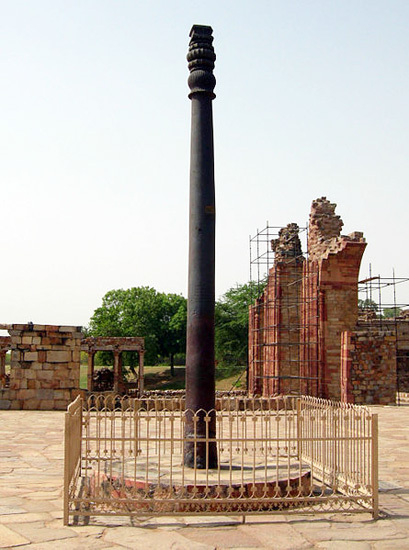 The pillar known as the Iron Pillar of Delhi, built by Chandragupta II Vikramaditya (375–413), stands at the Red Fort, where it has stood for over 1,700 years, and although made of iron, it has never rusted. No one knows how this could be possible. The Vikings made certain swords from what was called Damascus steel; imported to the Middle East from India. In India it was known as Wootz steel. The Vikings, as we know, were a warlike people, who made a practice of raiding and pillaging, so swords were important to them. Like many ancient peoples, the Vikings worshipped their weapons. The only way to gain admission to the Viking heaven, Valhalla, was to die in battle, with sword in hand. The Nova program focused on a modern blacksmith’s endeavors to re-create an ancient sword-making technique last used perhaps one thousand years ago in Europe, the technique that made its way from India to Damascus and then on to Europe. Some medieval steel for swords had three times the carbon content of regular steel, and these swords were much stronger and more flexible, less apt to snap. Viking combat made use of shields as well as swords, shields being used more often to catch the opponent’s blows. If the sword was struck instead of the shield, it had to remain resilient and not break. Swords were believed to have magical powers, and the most superior swords of the time were those known as “crucible swords.” Manufactured in a unique way, crucible swords had the name “Ulfbert” engraved on the blade. The modern-day swordsmith, Richard Ferrer, was filmed by Nova as he attempted to re-create the ancient technique of making a crucible sword. Charcoal was used in making the steel. First a container was made of clay and brick. Inside this container, which was to be heated in a furnace to a sustained temperature of nearly 3,000 degrees Fahrenheit, was put the carbon and iron that would, when heated, turn into an ingot of steel. Then the steel was hammered into the shape of the sword. Similar furnace containers of clay and brick have been found in archeological excavations in Central Asia. The brick and clay container served as an oven, trapping a lot of heat. Ferrer and his assistant manned the billows for hours to maintain the high temperature required. At around 3,000 degrees Fahrenheit, slag separates from steel. The aim was to create a crucible steel ingot having the same properties as Damascus steel. Steel like this was produced in ancient India and traded along a route on the Volga River. 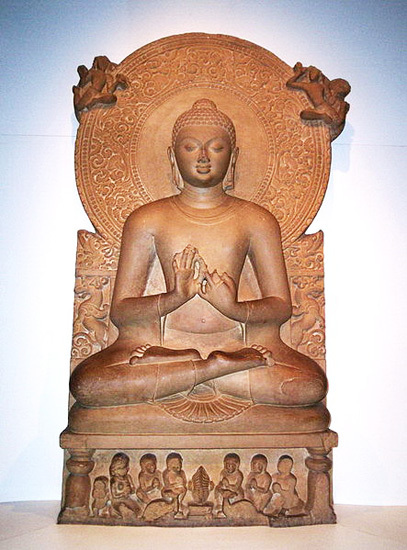 In an eighth century Viking grave in Scandinavia was found a statue of the Buddha from northeast India. At that time, it appears that both Slavic people and Vikings from Scandinavia were traveling on the Volga, the longest river in Europe, in what is now Russia. The Volga connected them with the Arab peoples of the Middle East, who were in contact with the lands further east. Thousands of grave goods have been found in burial sites along the Volga. Many of these objects had come from Iran, having been brought back to Europe in small ships. The trading route was closed after the eleventh century. Crucible steel has some unique properties; the iron atoms inside it form interlocking structures. After the perfect ingot of steel emerged, Rick Ferrer spent eight hours pounding the ingot to form it into a bar, and eleven hours altogether to form it into a blade. Ferrer sent a piece of the steel to Arcelor Mittal to be machine-tested for stress. An inferior weak blade would shatter, but a crucible steel blade would have great strength. The test results showed that Rick’s crucible steel blade was “a very high quality” measured against the steels of today. Norse swords, designed to pierce chain mail, had sharp points. The Roman style sword which had a round tip, wouldn’t go through armor. The name Ulfbert is an enigma, and no one is quite sure where the name came from or exactly what it means. Some believe Ulfbert could be the name of an abbott, since the Catholic church was a major arms producer. The name was in use over a 200 year period and, on the true crucible swords, Ulfbert is spelled with a cross in front of the “t,” like this: ULFBER+T. In copies, which are not true crucible swords, the cross follows the “t” in the name. Apparently, people who were less familiar with the swords or who did not read well could not tell the difference. After heating the sword, Ferrer quenched it by plunging it into a bucket of oil. This was quite dramatic since the oil burst into flame, then the sword covered in oil went up in flames too. Ferrer explained that it is at this point that the sword, if it has not been made perfectly, might crack and be useless, despite all the time put into it. Happily, this one turned out fine and did not crack. The last time one was made was 900 to 1,000 years ago. He has examined 44 swords, with the name Ulfbert on them. Eleven were true crucible swords, and all the rest, while they were of fair quality, were copies and not true crucible swords. Ferrer had inlaid the letters of the name Ulfber+t into the sword he made, and spent a few days polishing it to reveal the letters. From 300 BC to 1700 AD the type of steel made in India and used in European sword manufacture was called “Damascus” steel. There is a pattern in the steel that resembles flowing water. According to the Wikipedia article, History of metallurgy in the Indian subcontinent, metallurgy in India began in the second millennium BC., perhaps as early as 1800 BC. Smelting, which could refer either to copper and bronze, or to iron, is mentioned in the Rig Veda, the oldest book in the world, as well as in other ancient Hindu texts. Iron ore and iron objects have been discovered at eight sites in the Indus Saraswathi Civilization, some dating to earlier than 2,600 BC. They may be made of smelted iron though this is not certain. When the British arrived in India, they regulated the metallurgical industry, and over time, it declined and ceased to exist. The British were not fond of Indian metallurgy which they feared might be used to make weapons. By the early nineteenth century, the mines of Rajasthan lay idle and the caste of workers who had mined metal was no more. 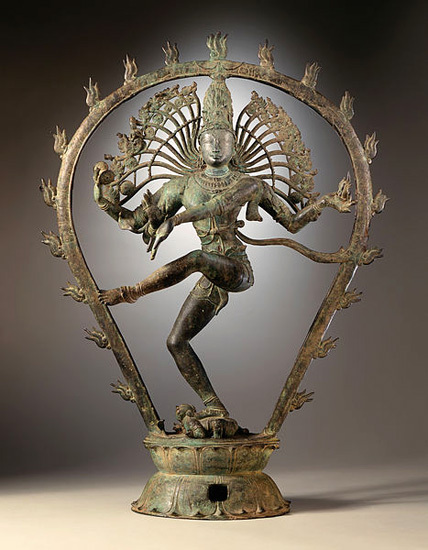 By 300 or 200 BC, what Europeans later called the crucible technique was being employed to produce steel in southern India. Iron, carbon, and glass were melted together and the high-quality steel that resulted was exported to Asia and Europe. 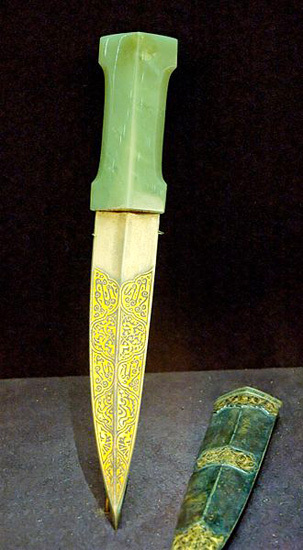 The historian Will Durant wrote that “Damascus” blades were shipped from India to Iran to Arabs in the Middle East and on to Europe. Early Indian kings used sheets of copper plating to record inscriptions. In the 12 century, the Arab writer, Edrizi, wrote that Indian sabers were the most famous in the world, with the sharpest edge. The suppression of the industry during colonial times was effective, and the world has largely forgotten the remarkable, very early advances in metallurgy made by India. Perhaps it is time to remember.